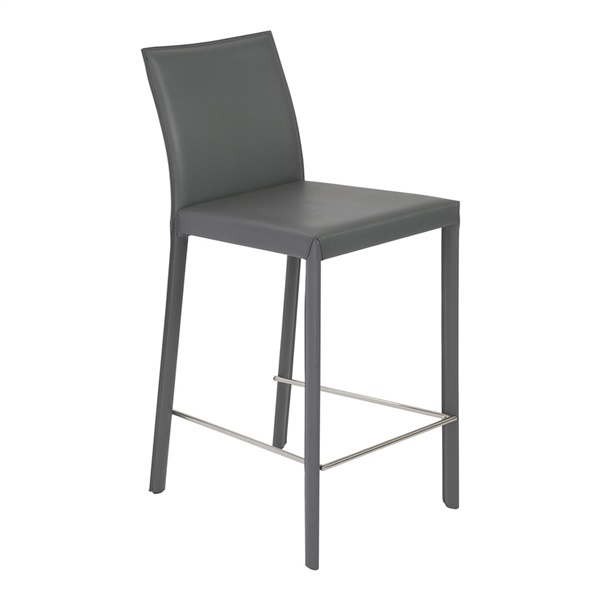 This chair features a steel frame for added stability and durability. It�s fully upholstered in quality regenerated leather, which adds a soft, smooth and supple look and feel. Meanwhile, a polished stainless steel footrest adds support and a touch of contemporary shine. Comes in your choice of stylish colors. Can I buy three of these chairs? This item is only able to be sold in increments of two. These are packaged two per box. Can I buy 3 stools? This item can only be sold in increments of two as it is packaged two per box.